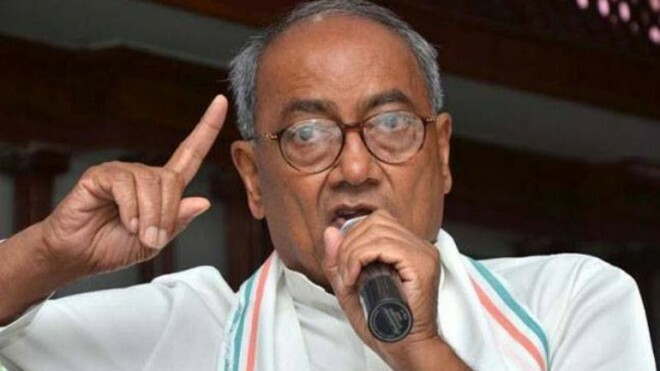 New Delhi, March 6: Senior Congress leader Digvijaya Singh on Wednesday challenged Prime Minister Narendra Modi to file a case against him over allegations from BJP leaders that he was an anti-national and a Pakistan supporter. In a series of tweets, Singh, who stirred controversy on Tuesday by referring to the Pulwama terror attack as an "accident", questioned why calling the attacks a "durghatana" prompted Modi and three Union ministers to term him anti-national. "The tweet over which you and your ministers called me a Pakistan supporter and an anti-national was posted from Delhi where police are under the Union government. If you are brave, file a case against me," he tweeted. Singh said that Modi and his ministers leveled several allegations against him and even expressed their intentions of filing a sedition case. "What action has Modi taken over intelligence failure in the Pulwama terror attack? He is yet to tell the country who is responsible for it. Does Modiji hold anyone responsible for this or not? Has he asked for a clarification from the NSA, IB or the RAW chief?" he asked. Singh also re-tweeted a video that shows Uttar Pradesh Deputy Chief Minister Keshav Prasad Maurya describing the terrorist attack as a "big accident". "Would Modiji and his ministers like to say something about Mauryaji?" Singh asked.